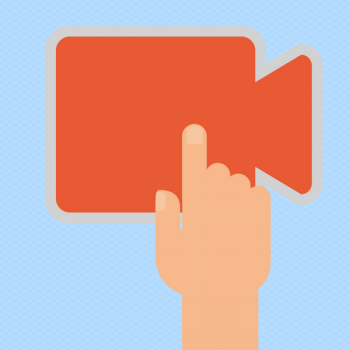 Could your YouTube channel use a jump start? 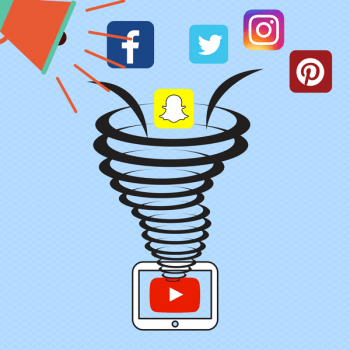 Ready to take your YouTube content to the next level? In this week’s episode, I’m on the line with Adam Ali, a brand marketer living in Toronto, Ontario, Canada. His passion lies in motivating others to reach their personal best. He’s the founder of iWontLose.com, a brand with the sole purpose of inspiring and motivating the masses. 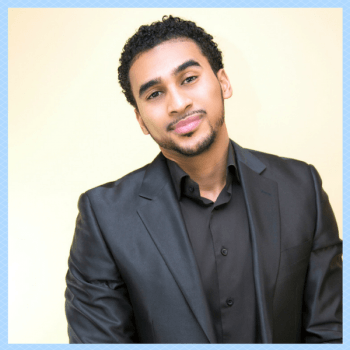 Adam built his brand through motivational videos posted on YouTube and, as a result, he has been featured on major outlets like NBA TV, CBC Television, CP24 and many other media platforms. Now, runs a digital marketing agency called IWLagency where he helps online influencers and brands raise their social presence online by using social media strategically. One of his main platforms of focus is YouTube. Adam and I connected in St. Maarten earlier this year, and I knew right away that I wanted to bring him on the show to talk about growing a YouTube channel. Adam describes himself pre-iWon’tLose.com as just an average personal trainer working in a gym. But got tired of that and felt that he wanted more out of life. He used to go to YouTube for workout and motivational videos, and eventually he started thinking that he could make videos, too. But Adam didn’t want just any old YouTube fitness video. He wanted to tell stories. So working with a producer, he put together a really cool four-part story as his very first video. It was high quality, even cinematic, and it featured Adam working out without being a typical “let’s focus on our chest muscles today” video. The storyline showed him waking up around 4:00 or 5:00am to go for a morning run. It showed his dedication to starting the day with a workout. It also had what Adam describes as “crazy music” that was full of energy. The music really pushed the story and got people pumped up and inspired. That first video went really well, so Adam kept making content. His third video went viral. Adam narrated and poured his heart out, which resonated with a lot of people. It’s still biggest video he’s ever produced. It was called “Dear Hard Work,” and it was basically a letter to the concept of Hard Work. In the video, Adam says that he’s been afraid of hard work, but it really is a good thing because it leads to progress, gains, and results. This video resonated so powerfully with his audience that he started getting sponsorships from other fitness brands. Adam wanted to top that third video to close out the four-part series. So he decided to climb Mount Kilimanjaro. He had never climbed anything before, and he says he didn’t even really train. He describes the experience as the hardest thing he has ever done. For me, the take-home message here is about creativity: Adam didn’t just do what everyone else was doing. He saw what was going on, what was popular, and put his own spin on it. How can you apply that to what you are doing? There’s nothing wrong with “how to get abs” videos, but the key is to pay attention to what people are looking for. You can be as creative as you want, but it won’t matter if people aren’t looking for what you’re making. You’ve got to create content that people are seeking. Don’t do it just because it feels good to you. You have to fill a void. We’ll come back to this point later. In 2012-13, Adam met his wife Latoya. She had a comedy channel on YouTube – LatoyaForever – and Adam saw opportunities to scale it. People still love that video! It really helped build her channel. Adam says that he learned a lot from growing her account. Adam’s initial goal was to make Latoya’s channel sustainable so that she could quit her retail job. It’s always hard to leave a stable job and take that risk. But Adam pushed her and she pushed herself, and by the end of 2013, she made the leap. At the time, she had about 300,000 subscribers. Now, she has over a million. Around the same time, Latoya wanted to move to L.A., so Adam left his job at a not-for-profit and they drove from Toronto to L.A. They had been there for 3 or 4 months when they found out they were expecting a baby. That changed everything (but in a good way!). They moved back to Toronto. The moment she knew she was pregnant, Latoya started documenting her journey as a mother. 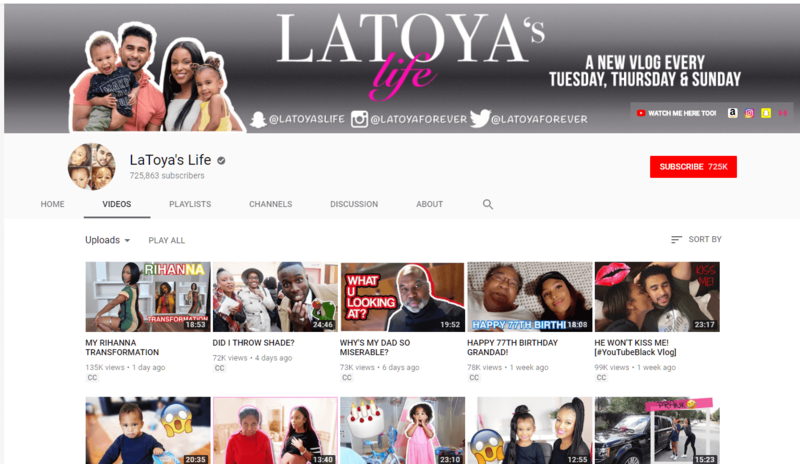 She and Adam started another channel for this content: Latoya’s Life. For a while, they were focusing on that family channel because they were seeing a lot more engagement there. People were sharing stories and giving advice. Vlogging was fairly new at the time, so it felt like a whole new world. They parked Latoya’s first channel for about a year. She just didn’t feel like being goofy and funny anymore. However, after a year, Adam pushed her to revisit it. Once they started focusing on that channel, they gained 700,000 subscribers in a year. Latoya was able to find the content that really resonated with her, that she was comfortable making in her new role as a mom. I wanted to get Adam’s advice for those just starting out on YouTube. He says that the most important thing is to be a YouTube viewer FIRST. See what other people are doing. Live on the trending page and see what’s going on. It’s okay to look at other people and see how they are doing what they do. Stay plugged in to what’s happening in the community. It sparks ideas, for content, ways of editing, and delivery. Bottom line: you’ve got to be a passionate viewer first if you really want to be a great YouTuber. Once you are ready to publish content, it’s important to take that leap. You just have to be courageous and press publish. Then, tweak as you go. There’s no such thing as perfect, so just keep going. Part of the process is creating content from where you are, and trusting that you’ll get better as time goes on. Okay, great! You’ve arrived. You are watching and learning, and you took that leap to press publish on your first video. Now what? Decide to give yourself a year of consistent content upload before you give up. At the start, it can feel like you’re not getting any traction, but these things take time. Come up with a schedule that is right for you. It needs to be something you can actually keep to with your other responsibilities. Then, once you’re comfortable with that, you can think about adding an extra day. 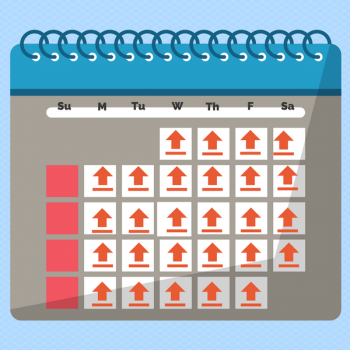 Be consistent with the day: teach people when to expect your content and get them into a routine. It really takes time, especially now that the platform is so saturated. But if you’re consistent, YouTube will favor you in the algorithm. You need to focus on longevity. It’s so easy to get burnt out. Back in 2012-13, Adam was publishing on Latoya’s main channel about twice a week. Lots of experts say it should be three times a week, because that’s what the YouTube algorithms favor. But we’re humans, not robots. There’s no point posting that often if it’ll just burn you out. Make people feel something or your time on YouTube will be short. 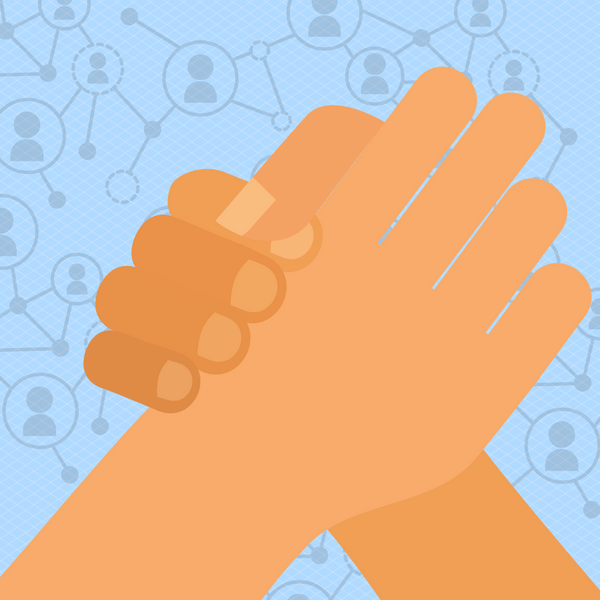 If you really connect with people, they will champion your content. Once you have that community, throw it back at them. Ask for advice and comments. Latoya has been really successful in creating a community of passionate, opinionated people who want to dissect everything every chance they have. And that’s great! Feature a male and female viewer every week. They call this “Viewer of the Week”. People submit their photos via an app, and then Latoya and Adam acknowledge them in the video. This is a big thrill for people, since they’re getting seen by 100,000+ viewers per video. Respond to at least 40 to 50 comments on every video. At this point, they get 500-1500 comments per video on average. It take a lot of time, but it’s important to acknowledge your audience. Lots of YouTubers don’t do this – they publish the content and then they’re gone. But the audience wants interaction! Screenshot favorite comments and show them in the video. This is the “Comment of the Week,” and it’s another great way to acknowledge your audience and make them feel special. .
Giveaways and contests. Throw it back into the comments and ask for input from your viewers. Adam and Latoya will do things like, “Tell us the funniest joke pertaining to the vlog or this topic,” and then do a giveaway for the best ones. It’s all about involving the audience. Engage them in a non-spammy way. You will have to find that balance. It’s a fine line between engaging and annoying. Also, people can tell if it isn’t coming from an authentic place. They’ll see right through anything you’re doing just because you want more subscribers. 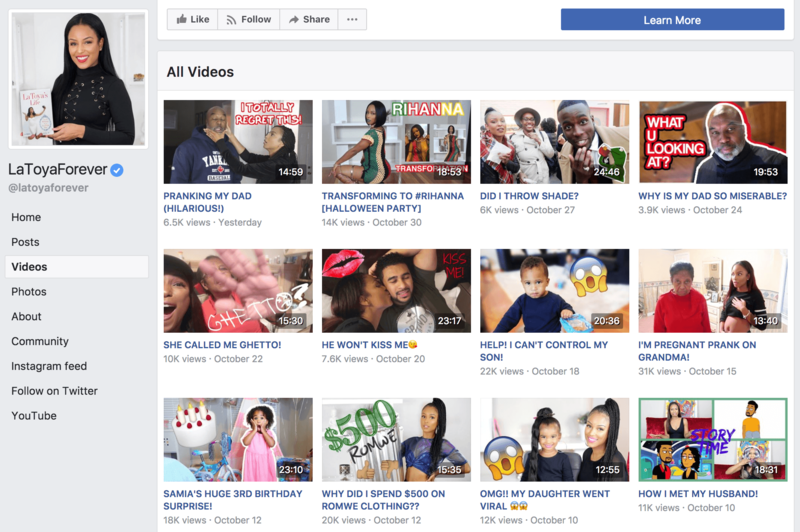 So how did Adam and Latoya get their channel to a million subscribers? They started by creating content that people care about. You do that by looking for what people are searching. See what videos are trending. Then, take those topics and incorporate them into the video. When you do that successfully, it brings a whole new stream of traffic from places you never even expected. Talk about things that matter to people. Use what YouTube gives you: write the perfect title that sparks interest. Write good descriptions. The YouTube system is designed to get your content discovered via search. Throw the word YOU in the title – “What do YOU think of X?” It makes people want to click because they want to answer the question. Understand the YouTube algorithm. Use the right keywords, and look at what’s trending. If “Trump” is trending, and you incorporate Trump into your content and your description, then people are much more likely to find you. Create content around tags and challenges. Spin what’s trending in a way that’s authentic to you. Remember that the reason it’s trending is because people care about it right now. And that’s how you’ll get discovered. YouTube used to be all about subscribers. If you had lots of subscribers, you’d get lots of view. Now, they don’t care as much about subscribers, but they do care about content. Just because you have a million subscribers doesn’t mean you’re going to get lots of views. YouTube wants to be able to push your content to certain places, so it’s all about content now. First, they hit the subscribe button. But then, they have to actually turn on notifications to be pinged when you upload a video. They have to click “always” in notification settings, and lots of people don’t do that. Subscriber counts are metrics for brands, and that’s about the only reason they matter now. If you’re just starting out, this should be very encouraging! You used to be a disadvantage if you didn’t have many subscribers. Now, you’re getting equal treatment from the algorithm. It’s a more efficient system for all users. Adam has had a lot of success with social media, so I wanted him to talk a little bit about his strategies for using other platforms to drive traffic to YouTube. He says it’s important for him to have a social media strategy that funnels everything back to YouTube. Why? Because that’s ultimately where they generate income, not just through AdSense but also through brands that they work with. On Snapchat, they’ll let everyone know that there’s something coming out, and give a specific time. This is a teaser. Then, they come back when it’s uploaded and let people know that they just dropped the video. On Instagram, they do the same thing with their story. Sometimes, they’ll also do a teaser video on the feed. They take their favorite parts and create a shorter video. The trick is to make it irresistible. Make people want to click and go there. On Facebook, they’ll post the video snippet natively. Just a YouTube link won’t do it, since YouTube and Facebook are direct competitors. Facebook really favors native uploads. More recently, they have started posting the entire video on Facebook. They started doing this about six weeks ago. At first, that sounds counter-intuitive, because the strategy is usually to drive people back to YouTube. Why go to YouTube if the whole video is on Facebook? But Adam looked at the analytics, and only about 1% of their views come from Facebook clicks. At that level, it doesn’t really matter if it funnels to YouTube. He’s also trying a new strategy, although he’s not 100% sure that this works. To avoid punishment by the Facebook algorithm for linking to YouTube, Adam uses a bitly link in the captions of the videos. Sometimes they also paste a bitly link in the comments. 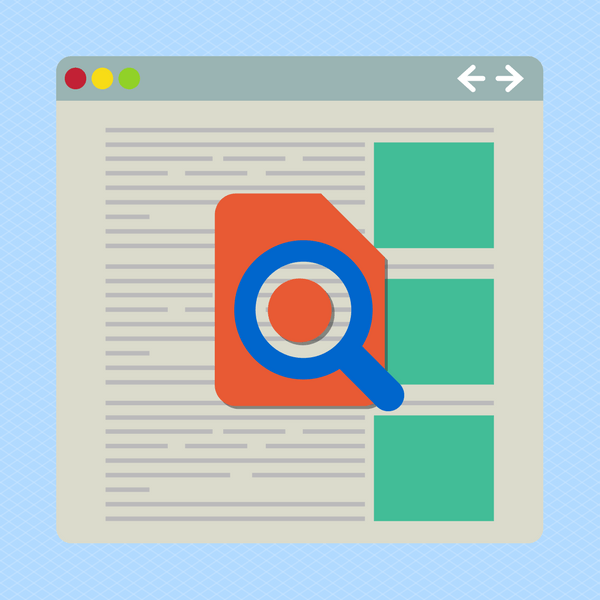 There’s some research suggesting that bitly links and link shorteners get suppressed on Facebook, too, but it’s always worth trying out a new tactic! They also use Keek.com, which allows you to upload 36-second videos. This platform is not as cool anymore, but they have a big following there, so they keep it going. On Twitter, definitely upload a teaser instead of just a link. We all know that video converts better than text. 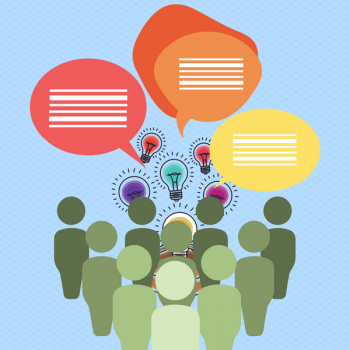 Adam recommends that you reach out and start collaborating in meaningful ways. That will help you grow. YouTube is such a community of creators. Build friendships and connect with those creators in order to keep growing. If you want to know more about what Adam is up to, you can find him on the I Won’t Lose website. He’s also on the I Won’t Lose YouTube channel. 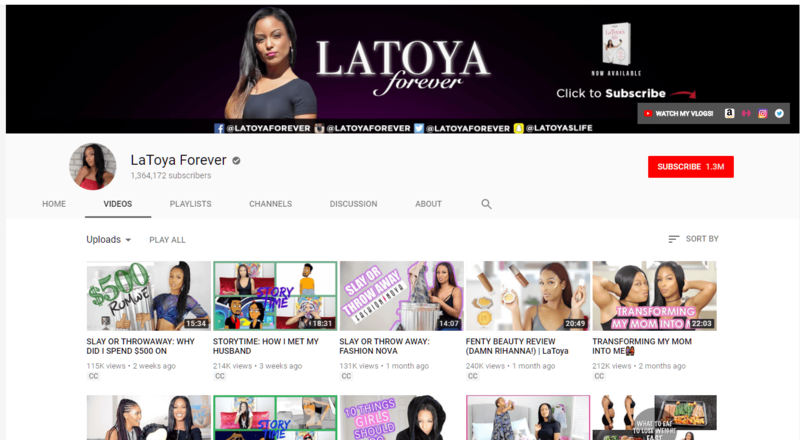 Finally, you can check out Latoya’s channel. Thanks for sharing the creative ideas to engage with viewers like be responsive to comments mentioning viewer of the month in videos. I want to implement these ideas to increase my youtueb channel viewers.